View a YouTube, draw and tangle a fanciful rooster on Clayboard. A wonderful, smooth surface that needs no frame. October in New Mexico is filled with leaves turning yellow, gold and red. Beautiful colors filled the mountain valleys….especially close to the streams and rivers where statuesque Cottonwood trees prepare for winter. 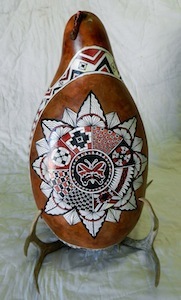 Albuquerque, NM hosted the Gourd Festival and I was lucky enough to attend. 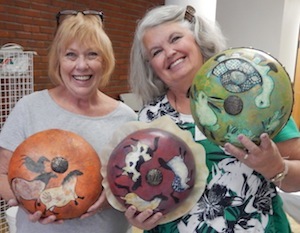 A wonderful show of gourds featured spectacular new gourd designs by artist Robert Rivera. 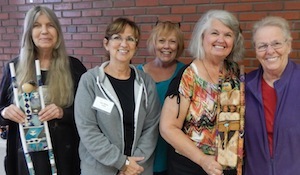 My sister Amy and I took classes with marvelous teachers – Tono-Spirit-Drum with Karen Phillips, Desert Dweller Masks with Kitty Riordan, Spirits and Sprites with Dar Stone, and artwork by Lona Warne. 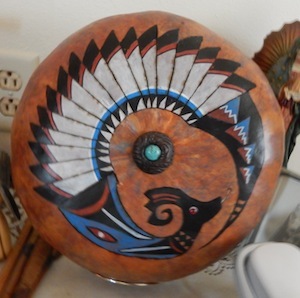 Gourds are really inspiring to me. 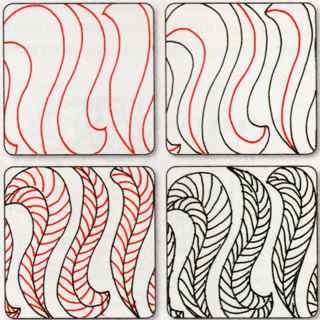 They have a natural shape and can have a wonderful smooth surface which is perfect for painting, decorating and Zentangle®. 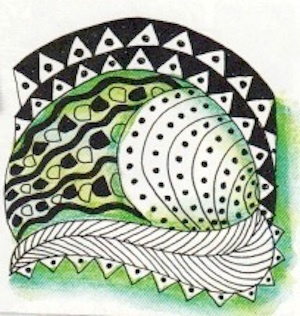 Zentangle Pattern, create and enjoy! !